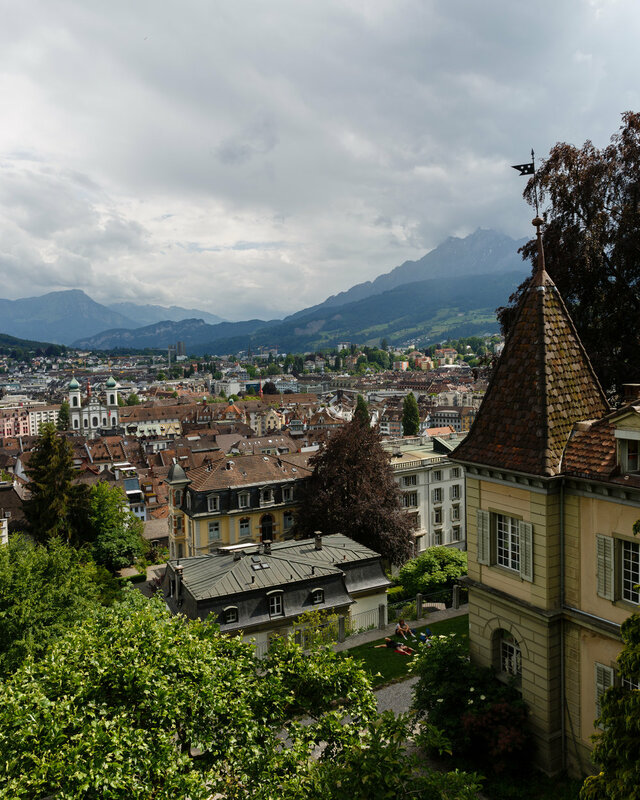 The second half of our trip took use through the mountains through some of the most spectacular points in central Switzerland and back to Zurich Airport. 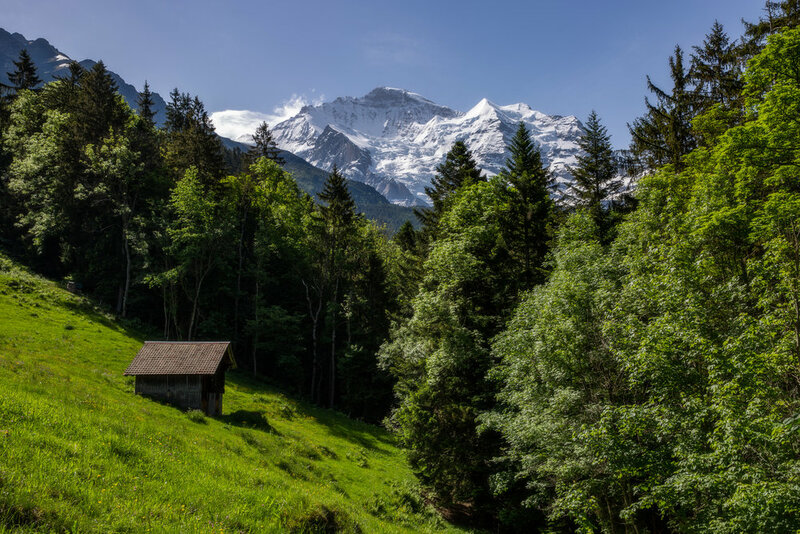 With many of the mountain passes still closed, we took a path through the mountains on the Lotschberg Car Train from Goppenstein to Kandersteg. 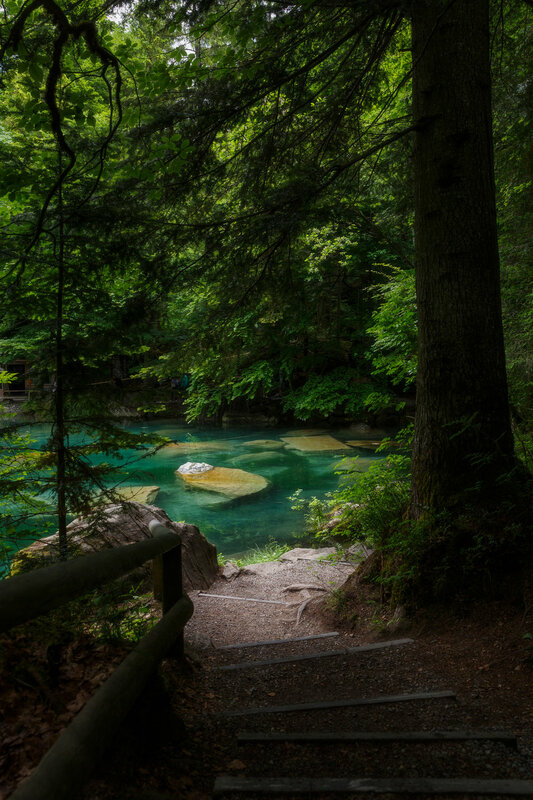 After disembarking and continuing the drive towards Interlaken, we made a quick stop at Blausee. Even though the day was cloudy, this place was magical. The green water surrounded by trees and the idyllic inn was completely unique. 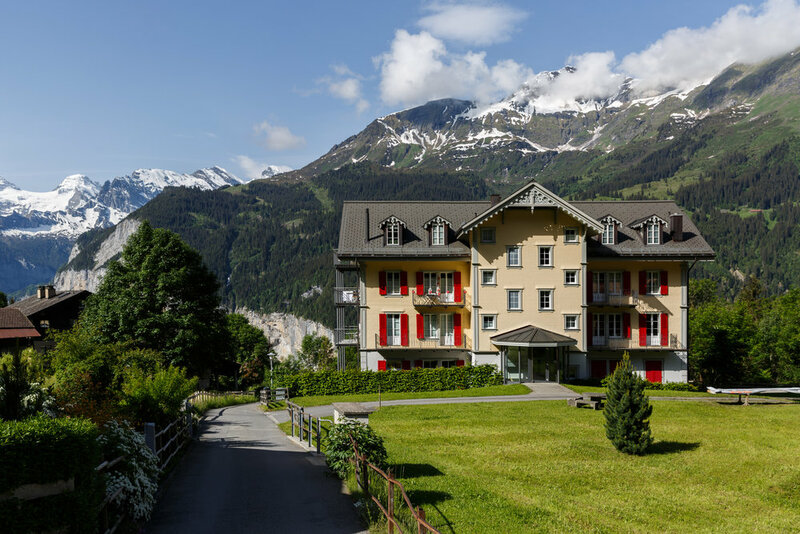 After stopping off in Spiez for lunch right on Thunersee, we headed straight for our hotel in Interlaken. 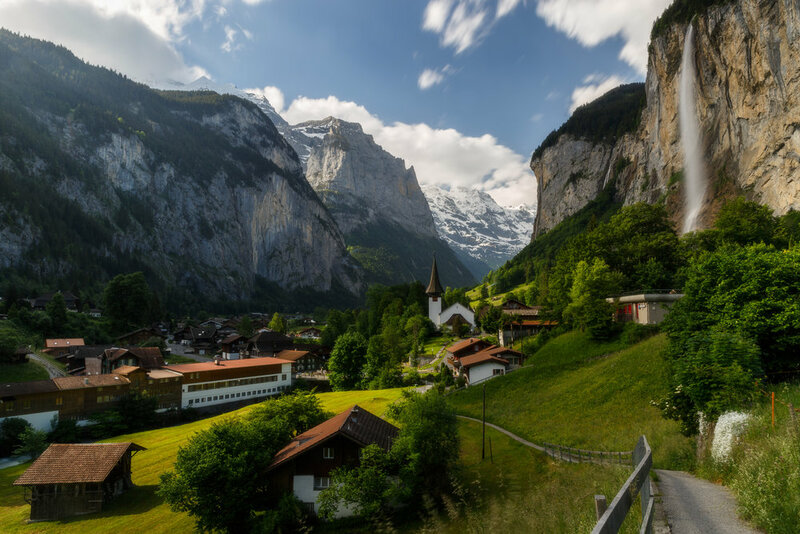 The gorgeous little town between the lake was a great base to experience the valley containing Lauterbrunnen. Called the "Valley of 72 Waterfalls," its the place that inspired JRR Tolkien in his initial watercolors for Rivendale. This place was simply magical. 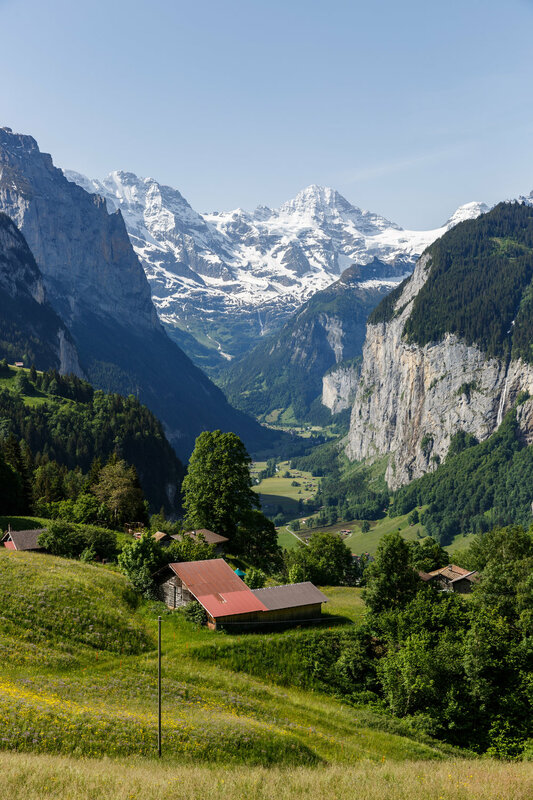 We started by taking the train up to the car-free town on Wengen and walked the 1,500 foot drop back down to Lauterbrunnen. We caught the morning just as the sun was breaking over the mountains. 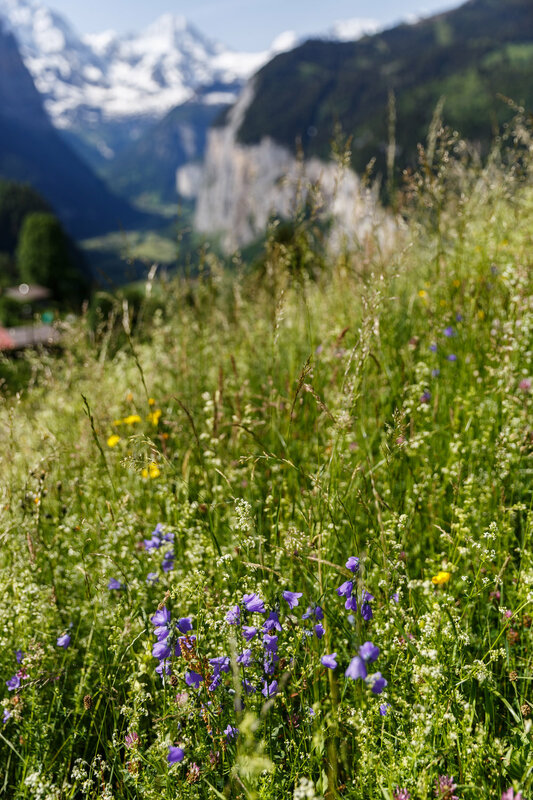 The beautiful green meadows were just beginning to bloom with their alpine flowers. 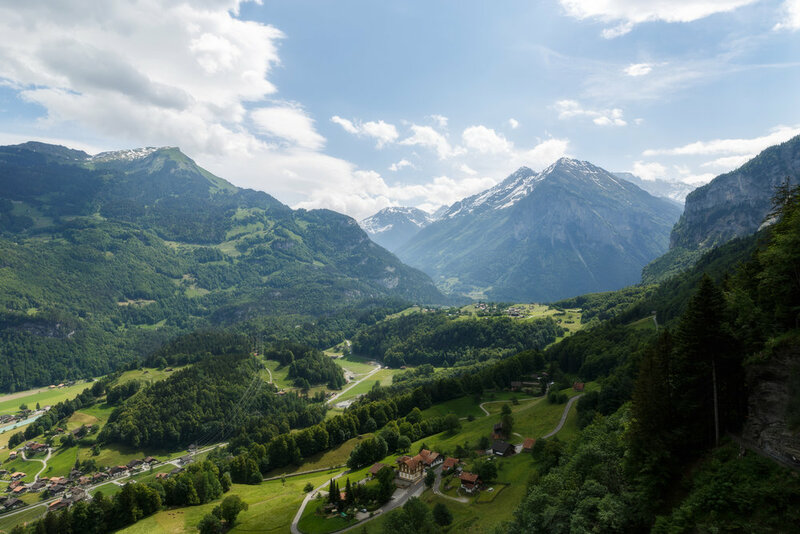 Before we left Interlaken for Lucerne, we took one more morning in the valley. Waking up early was incredibly rewarding to get this one shot. 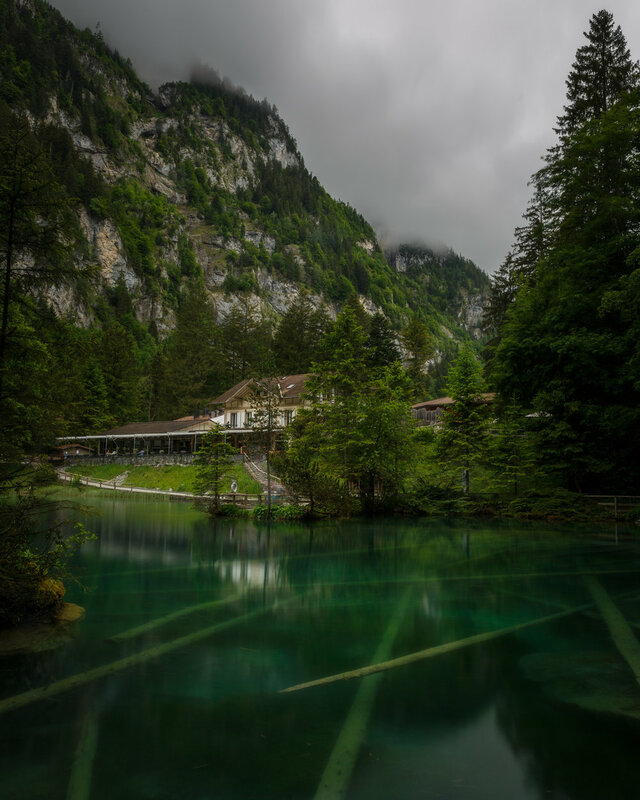 As the sun broke through the clouds, it lit up just a few points in Lauterbrunnen. This day is one of the most uncomfortable times making a photo. For whatever reason, my allergies were in overdrive. I was in tears because my eyes were so bombarded from all the pollen in the air. Somehow out of all that, I managed to come away with a photo of this amazing place that captures what it was like to be there. On the way to our final stop of the trip, we paused at two amazing places: Reichenbach Falls and the Aareschlucht. The views along the falls were amazing, but the walk through the Aare Gorge was one of the highlights of the trip. The 20 minute walk out and back felt like something out of a movie. The blue water looked like ice in motion. I can't recommend this experience enough. 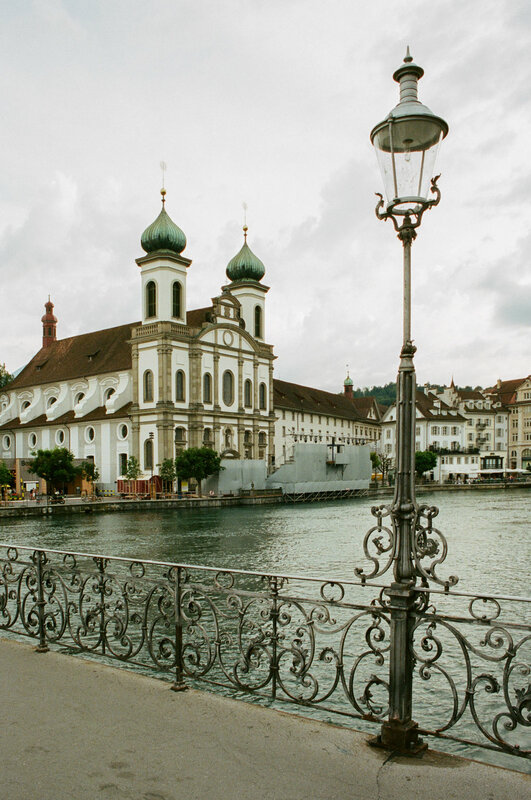 Our last stop was Lucerne. This beautiful city by the lake of the same name offered everything we could have asked for. Sitting along the river having dinner at a beer garden, walking the medieval city wall, and a boat ride across the lake were the highlights. The old chapel bridge made for some beautiful photos as rain and summer storms came in. The first photo caught me a little longer than I should have stayed out. It started pouring about 60 seconds after the photo was captured. We took the morning in Lucerne and headed across the lake up to Klewenalp via cable car. We had lunch at a beautiful little restaurant on the mountain. 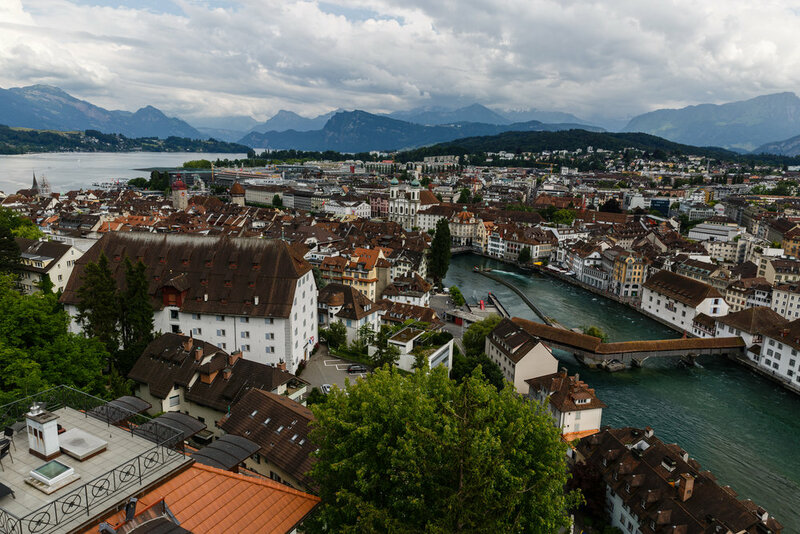 After hopping back on the boat and returning to Lucerne, we climb the old city wall for some amazing views over the city. This trip was one of the most relaxing vacations I've taken. We didn't overload ourselves with too many things to do, but we saw some really amazing things. Wrapping the trip up with the photo of the summer storms brewing in the hills above Lucerne was a fitting way for the trip to end. Stay tuned for the final post from the Trip: Infrared Photos.